Extreme Makeover goes back to the city. 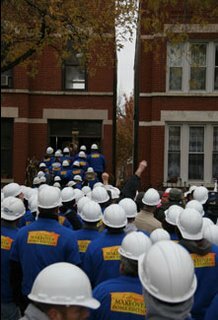 A house on Washtenaw in Chicago's North Lawndale community is the subject of tonight's installment of ABC's Extreme Makeover: Home Edition, which airs at 7 P.M. CST, tonight, January 14th. Read all about it - and see the pictures - here.